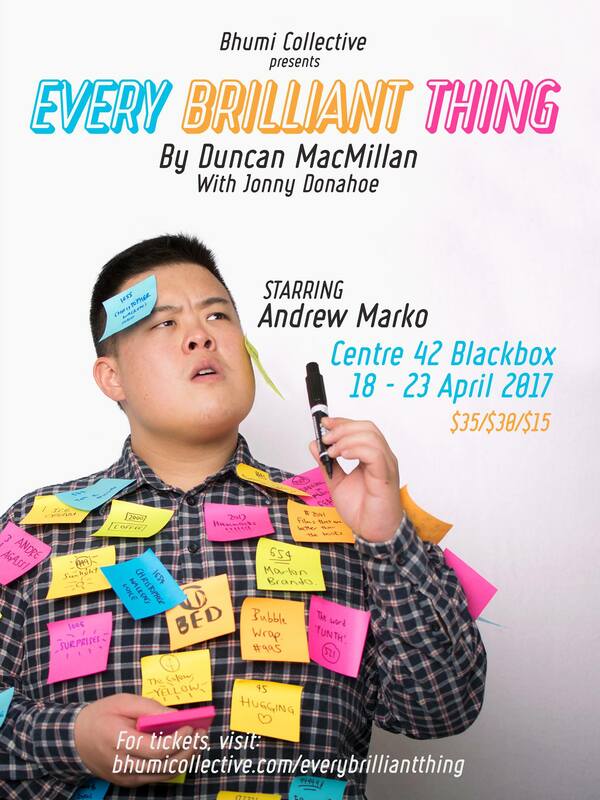 2017 M1-The Straits Times Life Theatre Award nominee Andrew Marko (Falling, Electra, RENT) stars in the Singapore premiere of 2014 and 2016 Edinburgh Fringe hit Every Brilliant Thing presented by Bhumi Collective, and directed by Mohamad Shaifulbahri. “You’re six years old. Mum’s in hospital. Dad says she’s ‘done something stupid’. She finds it hard to be happy. A new play about depression and the lengths we will go to for those we love. For tickets, please visit Bhumi Collective.